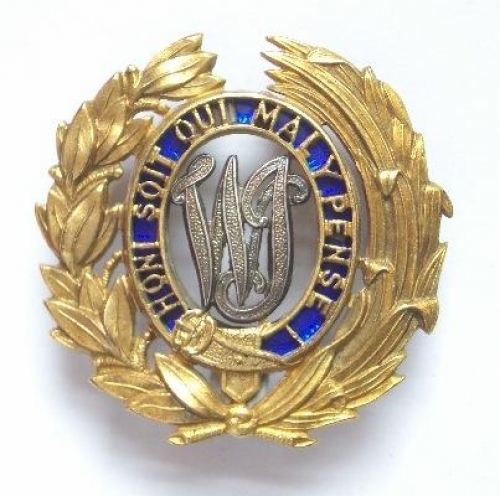 West India Regiment Officer’s pagri / cap badge. A very fine die-stamped rich gilt example on loops. Within a gilt wreath of laurel and palm, the Garter pierced and on a translucent blue enamel ground; silver “WI” cypher to voided centre. Small chip to enamel behind "QUE"
Raised 1795 and disbanded 1927.